Sayumi Oyama the European Brand Ambassador for Nikka Whiskies did a tutored tasting with whisky enthusiasts at the Merrio hotel recently. It was part of the Merrion's Fire side chats series. The whiskies tasted included: Nikka Coffey Grain, Nikka Coffey Malt, Nikka Miyyagikyo, Nikka Yoichi, Nikka From the Barrel, Nikka Taketsuru 17 Years and Nikka Taketsuru 21 Years. In all 5 gold medal winners! A great night had by all. Many thanks to Merrion for arrnaging th etasting and the excellant canapes which were expertly matched to the award winning Nikka Whiskies. 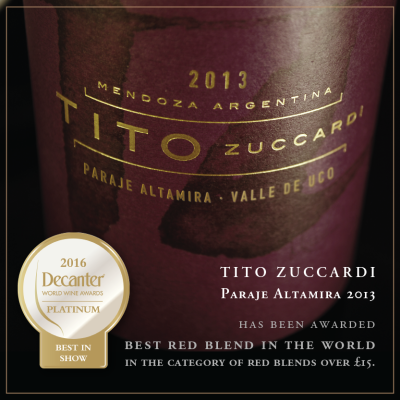 We delighted that Decanter gave Tito 2013 a Platinium Award - and the best red blend below $15. Unfortunately Decanter don't calculate the the effect of IRish Duty and VAT rates in their prices! We have liimited stock in of Tito 2013, Zucardi Zeta and Emma Bonarda, whcih was recently tasted in Dublin with Tim Atkins. Wynns 2012 black Label Cabernet Sauvignon got 95 points by Decanter in a recent tasting of Coonawarra reds. The articel features Sue Hodder, the wine maker. We hope to Sue visit us in november, and please call Philip or Paul if you would like to meet her. Domaine de Mourchon Cotes du Rhone Villages Seguret Rose, has just received 90 points from Decanter. 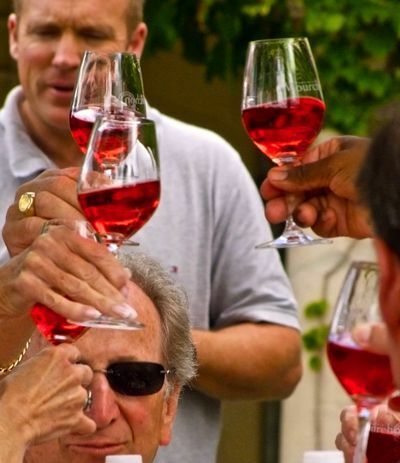 Heres to Hugo (as seening enjoying the lovely rose) and the Team, and to getting some shortly! 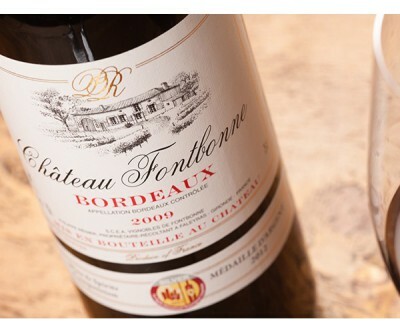 Look out for Fontbonne Tastings at Supervalu this week end. 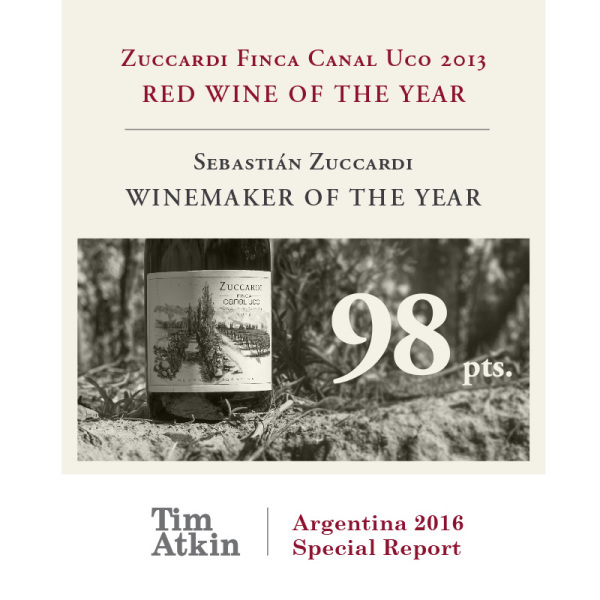 Zucardi have won two prestigious awards. Santa Julia Reserva has just won silver at the recent IWSC awards. And "Tito" won the Decanter Best Red Blend in the World over £15. the Santa Julia and award wining Zucardi Wines. The tasting will be from 6:00pm to 8:00pm, at Baggot Street Wines in Baggot Street Dublin. Mitchels and Sons and Maccormaic vintners have joined forces to show the great whiskies from Asia. 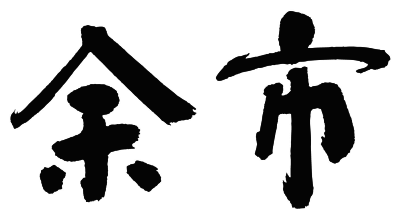 Paul Maguire will lead the tasting of Japanese and Taiwanese whiskies. It will feature 5 whiskies from Nikka and Kavalan distilleries. The event will take place on Thursday 26th May, at 7:00pm in CHQ, Dublin. Amy on 01 612 5540. Familia Zuccardi has opened a new winery the Valle de Uco a sub-region of Mendoza. The Zuccardi Valle de Uco winery, located in the Paraje Altamira in the Uco Valley, opened in march was the culmination of seven years of research and three years of building work. The winery has a capacity of 970,000 litres, and will produce a range of wines from the Zuccardi estate. ‘The concept of the grand winery is to produce wines from the local terroir, where focus is put on the region and essence of the wine in different zones throughout the Uco Valley, such as the composition of the soil and different agronomic subleties,’ said Sebastian Zuccardi, the award winning wine maker. The winery was built using materials sourced from the estate and the nearby Tunuyan River, with the walls designed to reflect the curvature of the mountains. Check out Sebastian Zuccardi hightlighting the specialness of the Uco Valley and the new winery. Koichi Nishikawa was awarded Distillery Manager of the year at World Whisky Awards 2016. Icons of Whisky, which recognize and celebrate the finest companies and individuals in the whisky industry, has awarded Yoichi Distillery Manager Koichi Nishikawa as Distillery Manager of the Year. Koichi Nishikawa - “On behalf of the Yoichi Distillery, we are flattered to be awarded this honorable award. 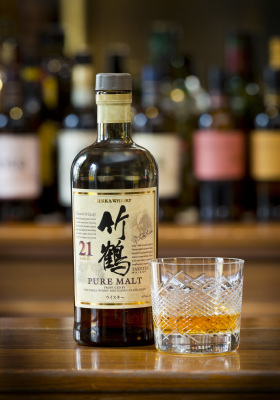 To this day we have succeeded our founder Masataka Taketsuru’s passion to deliver genuine whisky to more people. I would like to express my sincere appreciation to the achievements of our predecessors and promise to continuously make whiskies that would be appreciated by consumers of the world." 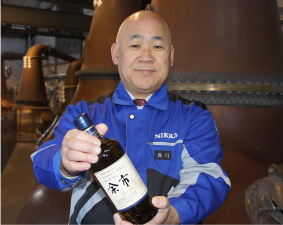 ​Koichi Nishikawa joined Nikka Whisky Distilling Company in 1982 after completing his degree in Agriculture at Kyoto University. 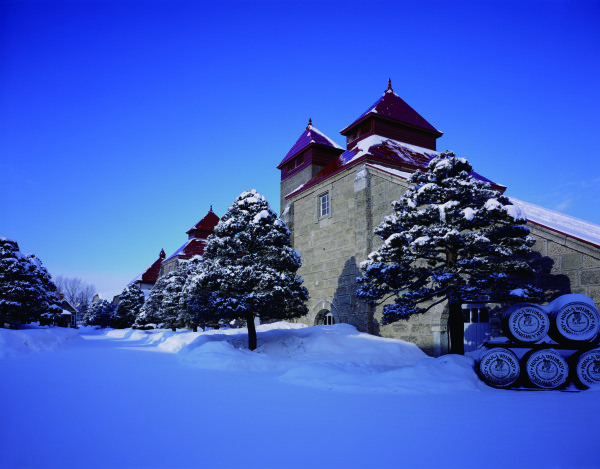 He held production and quality-control posts at several sites in and outside of Japan, including Nikka owned Yoichi, Miyagikyo and Ben Nevis distilleries. In January 2015, he was appointed as Distillery Manager of Yoichi Distillery.